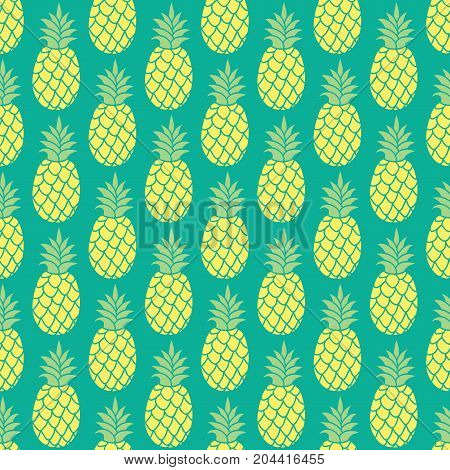 Pineapple vector background. Pineapple seamless pattern. Pineapple textile pattern. Pineapple repeating background, Summer colorful pineapple textile print. Pineapple background for scrapbooking.